The Flexicoil Truck was a design patented by Electro-Motive to improve suspension and ride quality on its diesel locomotives. Up until the time it first entered production during the 1950s EMD had primarily relied on its tried and true Blomberg truck for all main line road power from the FT through early Geeps (this truck actually remained cataloged until the 1980s). The Flexicoil came in a wide range of options and styles over the years as EMD improved upon the design for better ride quality and durability. The truck was widely used as a six-axle version on road-switchers although Electro-Motive also began offering a two-axle design for switchers starting in the 1950s. Due to the success and wide-scale use of Flexicoils you can still find many in regular service today, particularly on short lines and regionals. During Electro-Motive's early era of manufacturing diesel locomotives it relied on a truck designed by noted engineer Martin Blomberg, for which it was named. For many years he was employed with the Pullman Company where he did essentially the same type of work. His patented "Blomberg" design became EMD's standard four-axle truck for 50 years after first appearing on the revolutionary FT cab model of 1939. It continued to be cataloged until the Santa Fe ordered the last Geeps EMD offered, the GP60, during the late 1980s! However, the builder needed a three-axle design when it released its C-C, model SD7 in 1952. The "SD" stood for Special Duty, and was a six-axle version of EMD's popular GP7 first offered in 1949. While the SD7 saw fewer than 200 sales later models in the series were much, much more successful. What Electro-Motive engineers came up with the "Flexicoil Truck," which as the name describes was meant to flex and give for improved riding quality while at the same time allowing higher operating speeds. This was achieved through large, steel springs and rubber domes that helped absorb operational stresses. The first type put into service was the C1 model, which had evenly spaced axles and brake cylinders mounted high on the truck. Interestingly, this original design remained cataloged by EMD through its early SD40 series on models that were equipped with clasp brakes. From a visual standpoint it did not look entirely different from a two-axle Blomberg. However, the easiest way to identify the two is the noticeable arched frame of a Blomberg which the Flexicoil does not have. Other models to sport C1s included the SD9, SD35, SD18, SD24, SD/P28, and SD/P35. Three variants of the original design was the C1L (low-mounted brake cylinders), the C1H (a rebuilt C1 that used only one brake shoe per wheel), and the C1M (another modification of the C1 using single brake shoes and four cylinders mounted high). A new version of the Flexicoil Truck began appearing during early 1965 when EMD tested the C2L on a demonstrator SD45 during February of that year. This model also started appearing on late production SD35s as well as early SD40s. 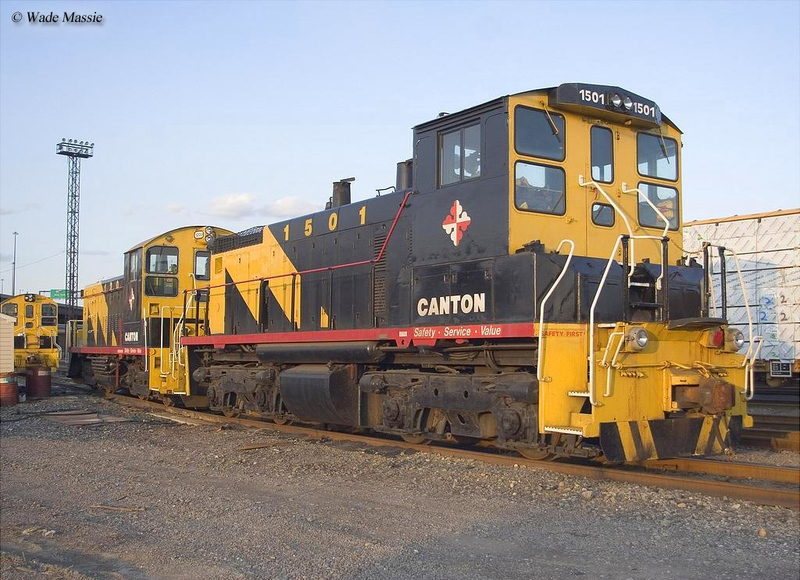 There were several variants of this truck built over the years including the C2HL, C2H, C2C, and C2HC which could be found on virtually all of EMD's second-generation models including the highly successful SD40-2. One notable export version that was used domestically was the lightweight XLC equipped on some of the Milwaukee Road's SDL39s (a road-switcher with a small fuel tank for branch line duties). The development of trucks, at least within Electro-Motive's catalog was an interesting phenomenon over the years. While EMD's various locomotives came in predominantly standard designs the trucks they were equipped with could widely vary, as noted by the many types above (railroads could even chose to reuse old trucks, say ARR Type Bs from Alcos, to save money if they wished). Additionally, some lines chose to have their particular order equipped with a truck that was not standard within EMD's catalog for that model. In other cases clasp brakes would be requested instead of brake cylinders. In any event, one must have a detailed working knowledge of the Flexicoil to pinpoint exactly which variant a particular locomotive carries. EMD's switcher line for many years used a standard AAR truck beginning with the earliest NW, SC, SW, and other models to the later SW7, SW9, and SW900. 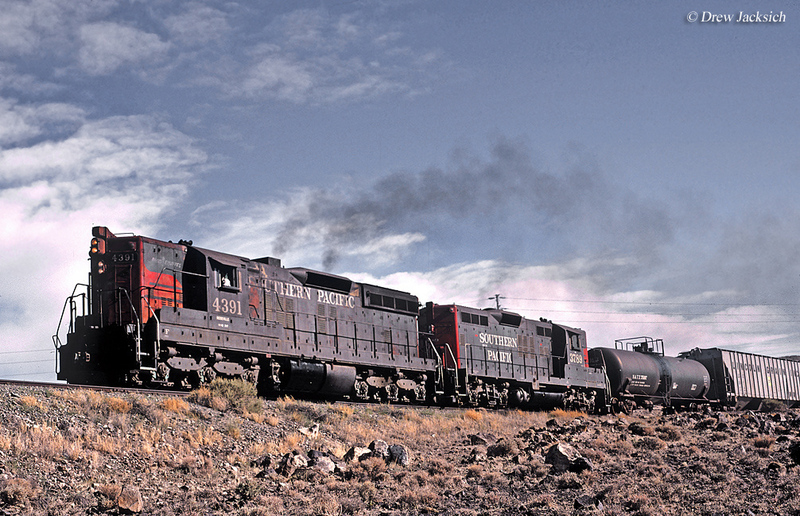 When the SW1200 was cataloged in 1954 it came standard with AARs but EMD offered a four-axle, Flexicoil as an extra-option to give the locomotive better versatility for use in road service. Since the switcher remained in production until the 1960s Flexicoils became more and more common by that time. 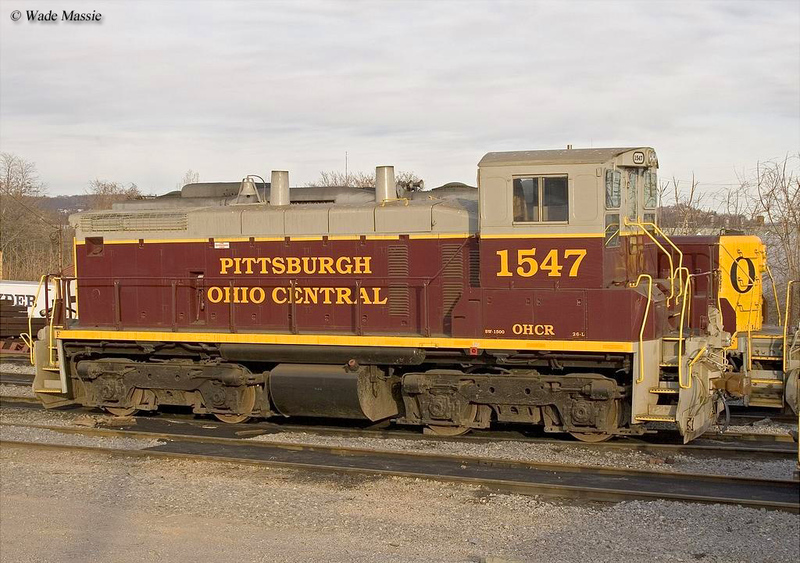 This was also the case with the SW1500, MP15 series, and other switcher variants EMD offered from the late 1960s until the builder stopped producing switchers in the late 1980s (AARs, though, can still be found on many late production SW1500s). For more information about EMD's popular Blomberg truck please click here. 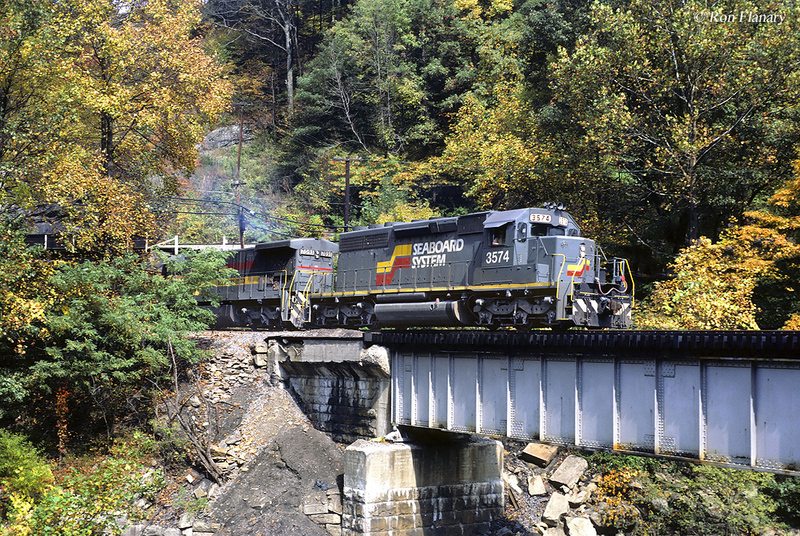 For more reading on EMD locomotives consider the book EMD Locomotives from author Brian Solomon. The book highlights the history of EMD from its earliest beginnings in the 1920s, to its phenomenal successes in the mid-20th century, and finally its decline into second spot behind General Electric in the late 20th century and eventual sale by General Motors in 2005. The book features 176 pages of EMD history and is filled with excellent photography and illustrations. Another good title regarding trucks and identifying diesel models is Gerald Foster's A Field Guide To Trains, which provides information on how to ID different designs from the earliest FT through those released into the 1990s. If you're interested in perhaps purchasing these books please visit the link below which will take you to ordering information through Amazon.com, the trusted online shopping network.